Passive investment is an investment strategy which aims at maximizing the returns. It is the income which recurs on a regular basis, without substantial efforts to create it. It is not something which is aimed at making quick and sudden gains but getting better with time and building over time. However, with some minimum maintenance, it creates opportunities for growth and keeps the future sustainable. P2P investing is a method of getting quick personal loans, not from banks but from crowdsourcing. Everything- from buying a car to establishing a company- simply everything can be financed through a P2P lender. 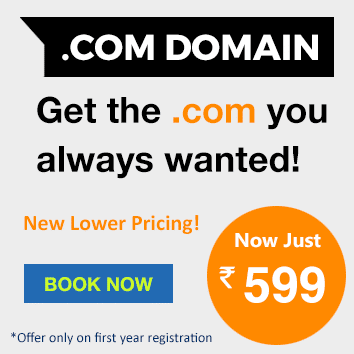 It is a good source of earning some additional income without putting many efforts. Peer to peer loans are the perfect way of providing quick personal loans to borrowers for an array of purposes and become an income-seeking instrument for investors. A good P2P platform would make all the relevant information available at one portal, and provide a diversified portfolio to the investors. The portfolio helps the lenders in analyzing their loans and the expected returns in risky market scenarios. Hence, one of the smartest ways of generating a passive income is to build a diversified portfolio by investing in various assets across different risk segments. A P2P lender has the perfect way to invest in alternative asset class, and generate additional wealth. It gives one the advantage of spreading his/her investments across various loans, with different return rates and time duration, depending upon the risk-bearing capacity of an individual. P2P lending turns out to be a stable source of income even during inflation and market risks. As per research, a P2P lender earns significantly higher returns as compared to other investments like mutual funds and stocks. Also, on monthly basis, investors receive part payments of their loan along with the principal amount. This can be further reinvested in other assets to augment earnings. This allows comparing with other market investments and makes it easier for investors to offset the negative effects of inflation. Hence, the investors are able to prudently analyze and compare the investments, and invest accordingly. So when the business market crashes, P2P lending networks are expected to still remain stable. Competitive lending and borrowing mechanisms lead to a platform for understanding the risks involved in different investing assets. A digital lending platform, Finzy, provides a portal which comes with automated processes, like an investment limiting mechanism for restricting the amounts to be invested. To cut a long story short, in order to gain better, it is important to understand and compare the risks involved. Once this is done, P2P lending can become a good source of passive investment. The investors can get hold of relevant information and a clever risk-to-reward strategy while planning their finances. Banks have long been known to lend money, and profit from that. However, banks do not lend money to every applicant, and the applicant sometimes faces the displeasure of being rejected. Some consumers may want to build a new credit standing or build it for the first time, but banks do not allow customers who do so. This led to a new market called peer to peer lending. With the advent of a P2P lender, lenders have the chance of becoming bankers to those borrowers. 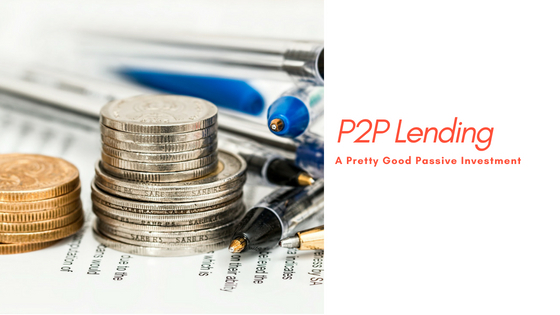 P2P lending has emerged as a really good investment opportunity for the lenders, and the borrowers have got the ease to access quick personal loans with their help. It is based on a simple idea: to bridge the gap between borrowers and lenders. The lenders stand a good chance of earning passive income, as there are not many efforts involved in the process of loan. They can look at the profiles of the borrowers, and check if they are willing to fund the loan. A P2P lender can invest in different asset classes and earn from them. As mentioned earlier, regardless of what one’s interest rates are, with a balanced measure of the risk involved, there is always a fair chance of earning through P2P. There are many established sites which provide a platform to bring together the borrowers and lenders.